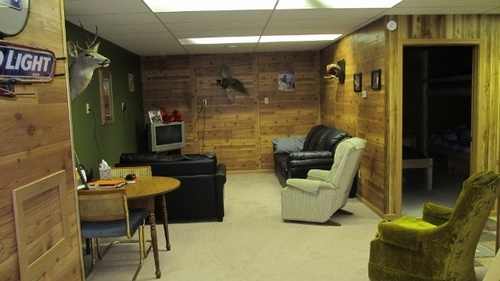 A pheasant hunters home away from home with 1200 square feet, full kitchen, 8 beds, 2 showers, Direct TV, and more! Located 4.5 miles west of Wolsey and 1/2 mile from public shooting area. Dogs welcome. Also available for Private Parties, Year-round lodging.